Fresno Activist Reflects On Working With Martin Luther King, Jr. In the 1960s, songwriter and activist Jimmy Collier would warm up the crowd before Martin Luther King would speak. The song “Burn, Baby Burn” was originally written about the Watts Riots – a series of deadly protests against police brutality in 1965 – but it later became a rallying cry for the civil rights movement after Martin Luther King, Jr.'s 1968 assassination. The songwriter, Jimmy Collier, now lives in Fresno. But in the 1960s, he worked alongside Dr. King, using his music to organize civil rights activists. 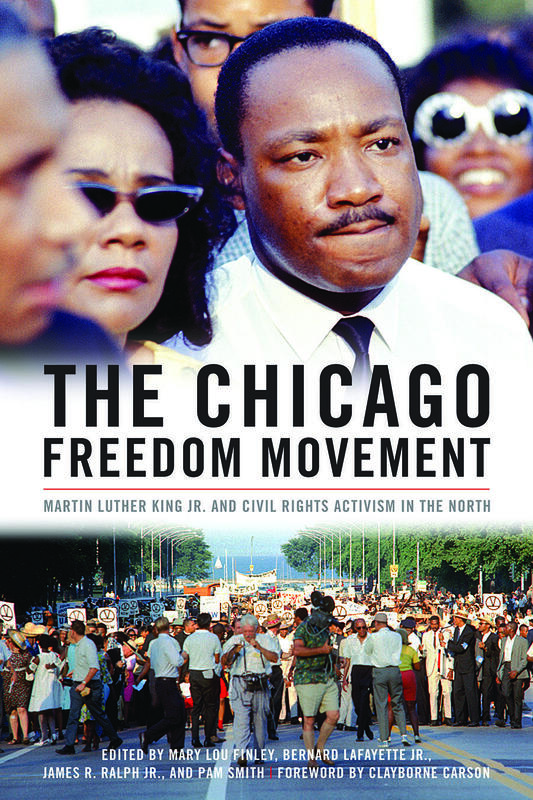 He wrote about the experience in a book published last year on the Chicago Freedom Movement. Here, he speaks with reporter Kerry Klein about the book and what it was like to work with Dr. King. Music always came easily to Jimmy Collier, but he decided early on to use it as a means to an end rather than as the end itself. And that end was fighting for civil rights. Collier says he was always carrying his guitar—and it became an asset when he was out speaking with the community, attending meetings, and organizing. Collier wrote a chapter in this 2016 book on music as a tool for social change. “There's something about music that carries its own sort of vulnerability, I guess, and then when you're able to do that, it encourages other people to open up to maybe new ideas—or joining the movement," he says. He was 19 or 20 when he met the reverend. “I just kind of get an image of seeing him with his suit on," he says. "He always had a suit on. I was thrilled, my little heart was going pitter patter. Just after Dr. King’s assassination in 1968, Collier published an album of music from the movement with fellow activist Revered Frederick Douglass Kirkpatrick. Since, then, Collier moved to California and had a followed a career in the construction industry, from which he’s now retired—all while maintaining music and activism on the side. 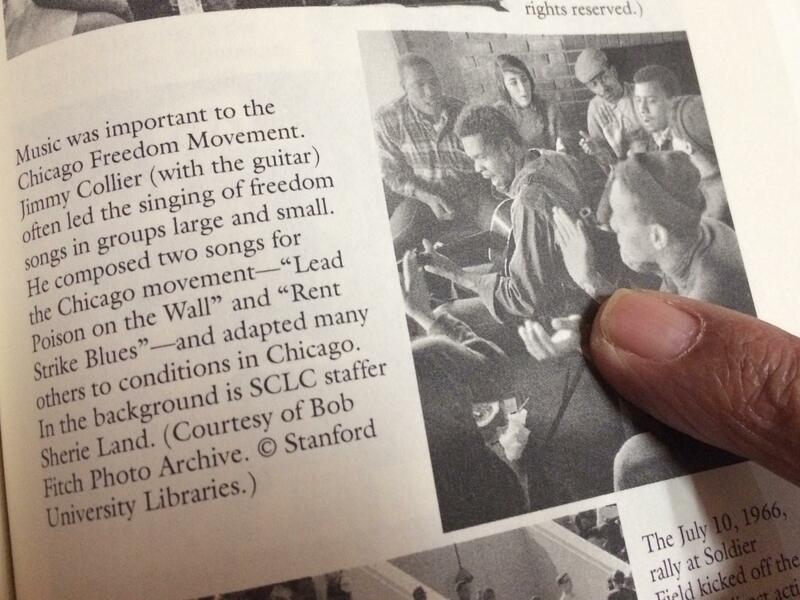 The book contains this archival photo of Collier performing with other activists. Fifty years later, Collier looks back on his civil rights work in the 1960s with pride. “People step up in the time that they have to step up, and do what they can contribute, and I feel like, when I was young and had that energy, I could take that kind of risk," he says. "When we look back at that period with Dr. King, it's kind of amazing what was accomplished with a few people and a preacher that could preach real good. And that'll happen again." Listen to the story for the full interview. Commentary: With Liberty and Justice For... Some? The acquittal of George Zimmerman in the death of Trayvon Martin has sparked a national dialogue about race and justice. 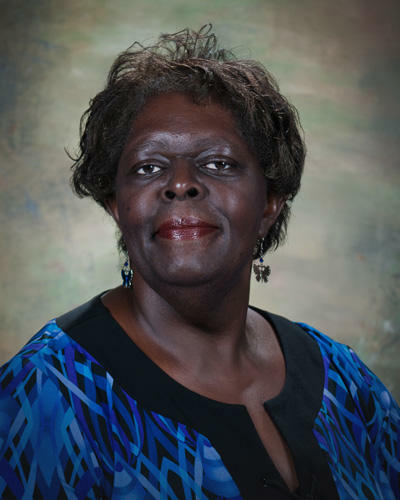 In this edition of Valley Public Radio’s commentary series The Moral Is Ida Jones, Professor of Business Law at Fresno State, says the verdict makes her question our nation’s commitment to the principles of justice and fairness. What happened to the principles of justice and fairness the U.S. was supposed to represent? Later this month, the story of the late farm labor leader Cesar Chavez hits the silver screen with a biopic by acclaimed director Diego Luna. 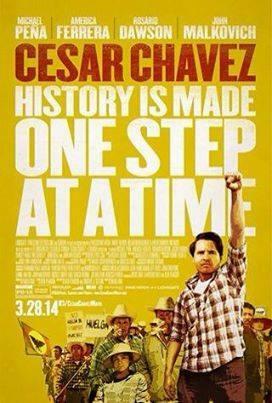 It’s the first time a major motion picture has been made about the life of the founder of the United Farm Workers Union. It features a cast of Hollywood stars including America Ferrera, Rosario Dawson and John Malkovich, with Michael Pena cast as the late civil rights hero. Tomorrow night President Obama will host a screening of the movie at the White House.